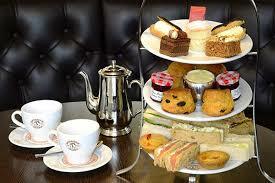 We start with a delicious Afternoon Tea in the Marlborough Gate Bistro at Milton Keynes Theatre. This is a new stylish dining establishment providing great food – the perfect place to enjoy relaxed pre-theatre dining, safe in the knowledge that you won’t miss the show. We’ll be leaving a little of our tea, so we can pop back into the Bistro during the interval to polish off the last of the scones and cake! 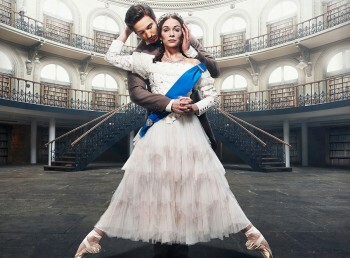 At 2.15pm we take our seats in the theatre for Northern Ballet’s new biopic 2.30pm performance of ‘Victoria’. Passion, tragedy and fierce devotion – Queen Victoria’s diaries revealed a life so fascinating that her daughter, Beatrice tried to rewrite history. Victoria’s irrepressible love for Albert sparked a royal dynasty, but his untimely death brought the world’s most powerful woman to her knees with grief. Northern Ballet’s performance is choreographed by Cathy Marston and brings the sensational story of Victoria to life in dance. ‘Victoria’ is a co-production between Northern Ballet and the National Ballet of Canada. We have excellent seats in the stalls at Milton Keynes Theatre in rows F G & M.
The cost of this event includes afternoon tea and your ticket for the matinee performance of ‘Victoria’.